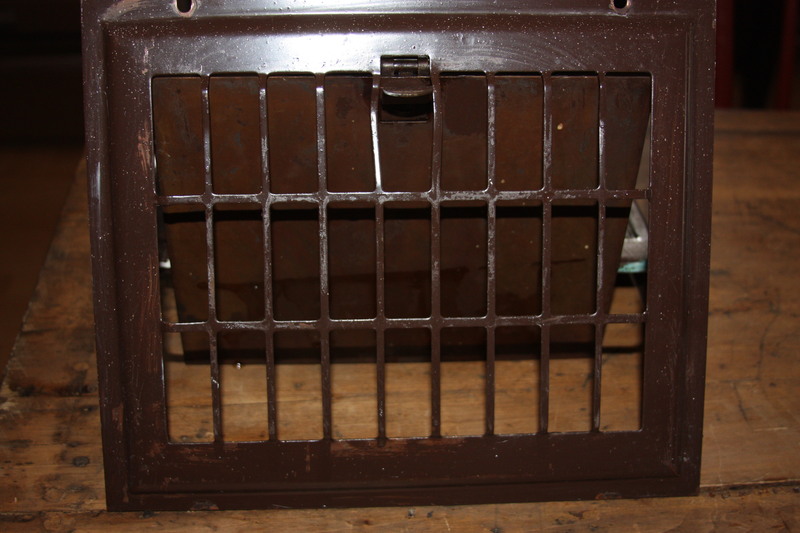 These two metal heating vent grates were given to me by a friend who was renovating her house. I am so fortunate that she knows me so well that I was the first person she thought of and asked if I wanted them. HECK YES!!!! Here are the before pictures…. I painted one red and one black. The spray paint I used was given to me so this entire project cost me zero dollars and one hour of labour…..that’s my kinda of DIY! 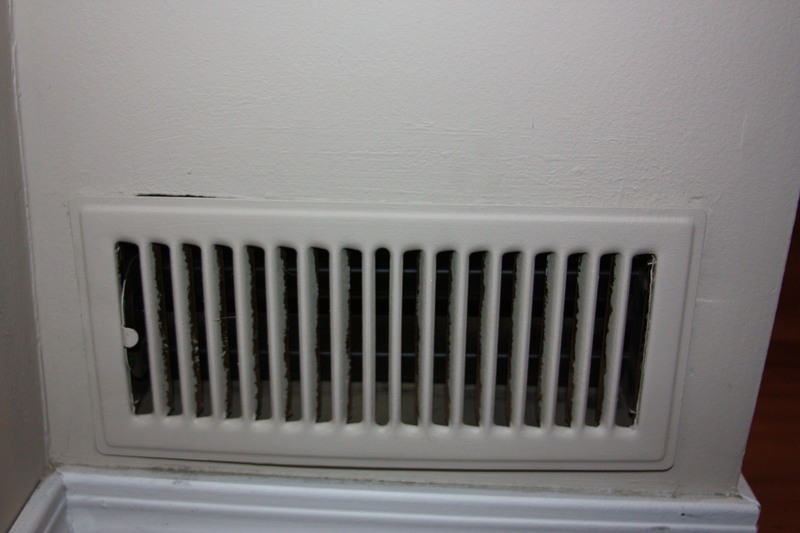 This is the heat register that got covered with one of the finished painted grates. It was just the right size – YAY! 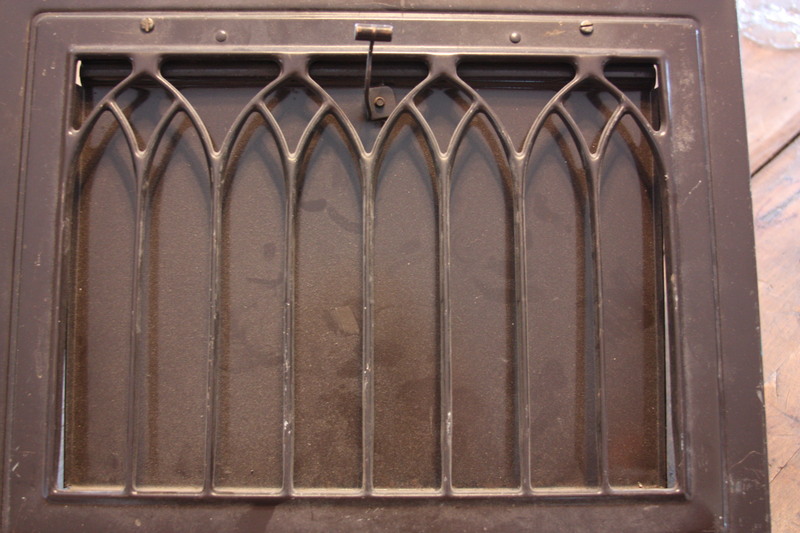 The other grate was hung for decoration purposes only. Now for the after pictures……. This one is positioned low on the wall at the top of the stairs. I wanted it to look like it was a working vent. I just love the red…. I think they look great…..it’s A Wandaful Thing!!! This entry was posted in Decorate, DIY and tagged deco, Decorate, DIY, easy, free, grate, heat, paint, reno, Spray paint, vent. Bookmark the permalink. They definitely make a statement. Great idea putting it at the top of the stairs splash of color and a surprise (always good!!!) Well done.